Receiving the news that your blood test for protein is too high can be scary. Total protein is a lab test health care providers may order as part of a group of tests to measure liver and kidney function. Some diseases can cause elevated protein levels; however, sometimes total proteins are elevated simply because the person being tested was dehydrated at the time the blood was drawn. Dehydration may occur when you don't drink enough fluids, especially during hot weather, or with significant physical activity. Drink water or other beverages throughout the day of your blood test. Drinking eight glasses of water each day is a commonly used guideline, although it isn't backed up by scientific research. Monitor your water intake. If your urine is pale in color and you urinate frequently, you are getting enough water. Drink other beverages only if you don't have to fast before the blood test. If your health care provider has ordered other blood tests, you may have to fast. You can still drink water, but not other beverages. Add flavor to the water with a slice of lemon, lime or cucumber. Carry a water bottle with you when you travel. 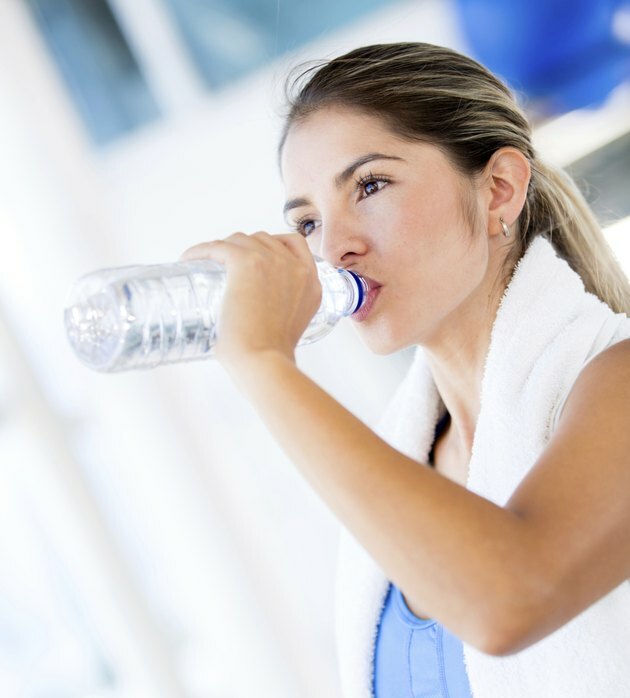 Drinking sufficient amounts of water will prevent you from having an elevated blood protein test due to dehydration. If your blood protein is elevated due to illness, you will have to follow your doctor's orders for treatment.